Now Affinity Bank cardholders have another way to conveniently locate their 43,000 surcharge-free ATMs. 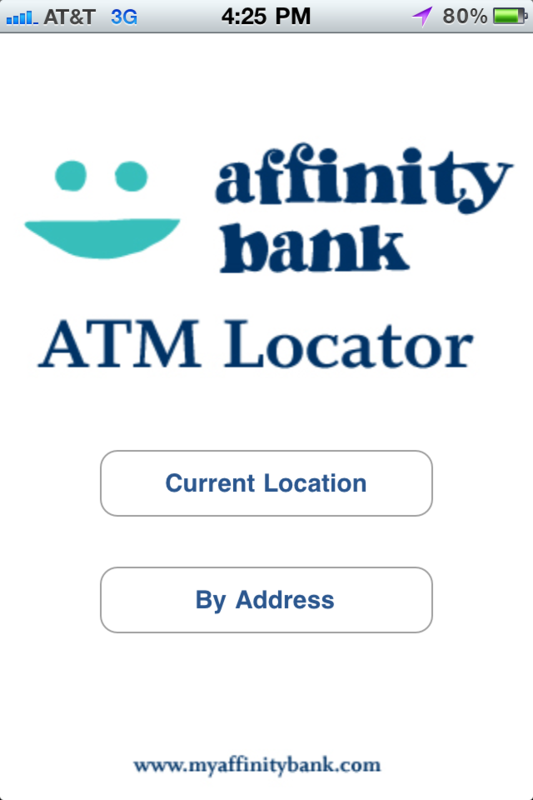 Affinity Bank cardholders can use this locator to find surcharge-free access on their iPhone. -Always has the most accurate & updated location data. -Find locations by GPS or Address (US and UK). -Scroll through a list of the closest locations. *Maps and Directions provided by Google.